Excel­lent pod­cast — very infor­ma­tive! Thank you! Lenses are very impor­tant in pho­tog­ra­phy. 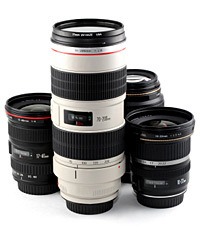 This pod­cast could be a guide to choose the best lenses any­one may need. Another great pod­cast, well done, lot of good info to assist when look­ing for lenses. Look­ing for­ward to the next one. great pod­casts but it would be good if you sllooowwwwwed down! chill out man, you talk too quick! the con­tent is great though, many thanks! Another great pod­cast Marko! Thanks for address­ing the topic I will lis­ten to it again before going out to buy my wide angle lense… con­sid­er­ing the Tok­ina 12-24mm or the Sigma 10-20mm… any rec­om­men­da­tion on the two? Thanks as always marko hope your doing bet­ter now. well it was very infor­ma­tive though I wish you would have touched up a lit­tle on some weirder lenses so to speak lol like tilt shift lenses etc but over all like always its amaz­ing and i cant wait to see the next one. keep up the good work my friend. Great pod­cast Marco! I’m start­ing to realise the lim­i­ta­tions of the kit lens that came with my cam­era. Your advice is quite timely. I joined a photo meet up group in Cal­gary and will see if I can trade with other mem­bers dur­ing photo out­ings. Tim­ing is every­thing! I am think­ing of adding a wide angle lens to my “tool’box”. Thanks so much for the information!